The Haute Savoie is located to the east of France in the Alps, bordering both Switzerland and Italy. 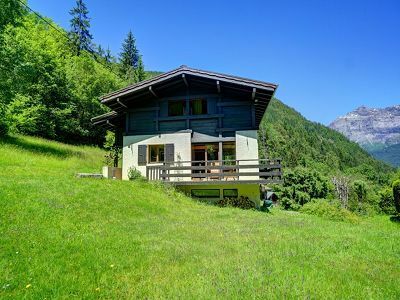 As would be expected from this mountainous region, skiing is a big attraction; yet, it offers much more than just winter sports for those buying property for sale in Haute Savoie. One of the many villages in the Chamonix valley is Les Houches. Situated only 6km from Chamonix, Les Houches offers an exceptional panorama of the peaks surrounding the valley. The village is made up of a number of hamlets spread over an area of 5,000 hectares, with oratories, chapels, old bread ovens and farms bearing witness to its past, and being the objects of particular attention today. 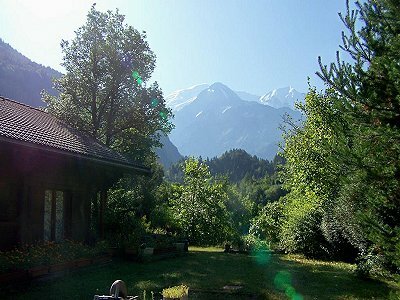 Each of these hamlets presents a real cultural, sporting or tourism interest making buying Les Houches property all the more attractive. The lake and the Plaine Saint Jean offer a base for those wishing to visit the Gorges de la Diosaz. The beautiful chapel at the lake and the ruins of the castle are well worth a visit, as are the famous St Bernard dog-breeding kennels. The hamlet of Vaudagne also has kennels, but this time for the huskies used in dogsleighing. Nearby, the hamlets of Les Chavants and Maisonneuve are centres for rock climbing, cross-country skiing, fishing, and tennis. There are also adventure parks for children, and many woodland walks. The centre of the village can be found in Les Trabets, offering all the public services, such as shops, libraries, and so on. There is also a ski-jumping site, ice rink and skate park for the more adventurous. The hamlet of Coupeau harbours the Merlet animal park, an adventure park, and the Carlaveyron nature reserve. 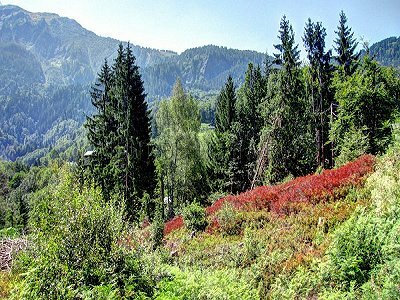 Most villages in the Haute Savoie have property for sale, whether it be a house, cabin, chalet or apartment. The ski domain of Les Houches offers a large diversity of slopes through the forests, for all the snow disciplines, from beginners to world class skiers who meet on the famous 'Verte' piste for the men's Alpine World Cup downhill and slalom events. On finding a property you wish to purchase you will need to negotiate the terms, price and conditions of the sale with the owner. The next step, once you are in agreement, is to sign the preliminary contract (Compromis de Vente). This is a legal document and after ten days will be binding on both parties. Rules change frequently in France and it is best to consult with your notary about when this period starts. Generally the compris will be signed in France with the Agent. Variants can be included in the compris, for example an Acte (clause) can be added if the name or names to go on the title deed have not been finalised. If a mortgage will be required to purchase the property, the details for this, including the name of the mortgage company, must be on the compris. Generally the deposit will be 10% of the agreed purchase price. This will normally be paid to the notaire. There are exceptions to this, if the agent holds a carte professionelle, is bonded and fully registered then you may pay them, but do not hand over the deposit to anyone else. If for some reason the purchase does not go through, for example, if you write to the notaire and the agent that you do not wish to go continue with the purchase before the contract is binding (within seven days of signing the compris), then your deposit would be repaid. This would also apply if a condition had not been met, or the mayor or S.A.F.E.R. (a government agency that has the right of first purchase on most rural property that comes onto the market in France) could oblige the purchaser to give way. If you decide after the seven days 'cooling off' period that you do not wish to complete the purchase and pull out of the sale you would lose your deposit. If however the vendor pulls out of the sale then you will receive your deposit back plus the same amount from the vendor. Generally it will take around two or three months to complete the purchase. During this time the balance of the purchase money must be paid into the account of the notaire, this must be done well ahead of the completion date. The notaire will prepare the documents, check that the deed of sale (Acte de Vente) is in order and have the legal title ready to be signed over. It is possible to have someone sign on your behalf if you give them power of attorney. An interpreter may be of use at this point if your French is not very good and many Notaires will suggest (or insist) that an interpreter is with you. Ground floor 2 bedroom apartment, situated within a ski chalet with just 2 apartments, located close to the village centre, with a total living area of 71.84m2, 30m2 terrace and a 57m2 outbuilding.